Finally, the moment many of us have been waiting for has arrived. 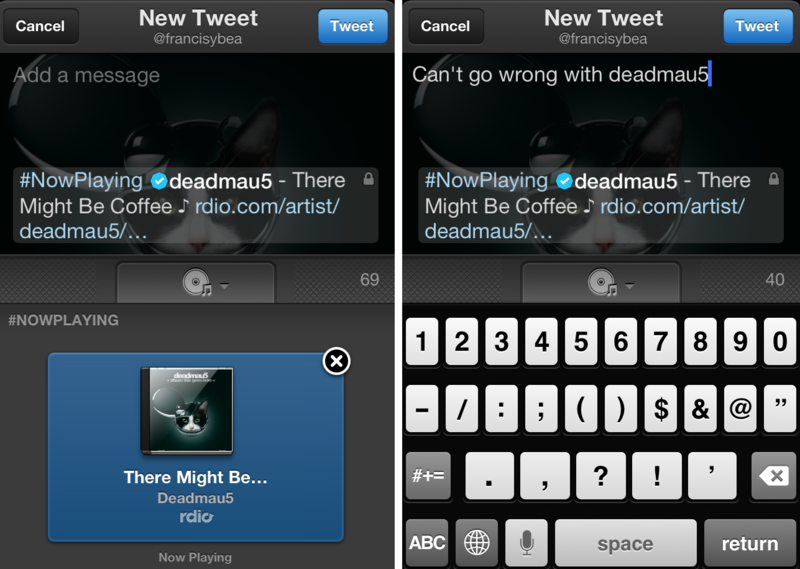 Twitter announced Thursday the launch of #Music on ABC News. Twitter #Music is available as an iPhone app through the iTunes App Store (here), or on the Web at music.twitter.com. An Android app isn’t available yet, but Twitter says it will available eventually. Below, we go hands-on with the standalone Twitter #Music app to check out what the social network’s latest offering delivers. 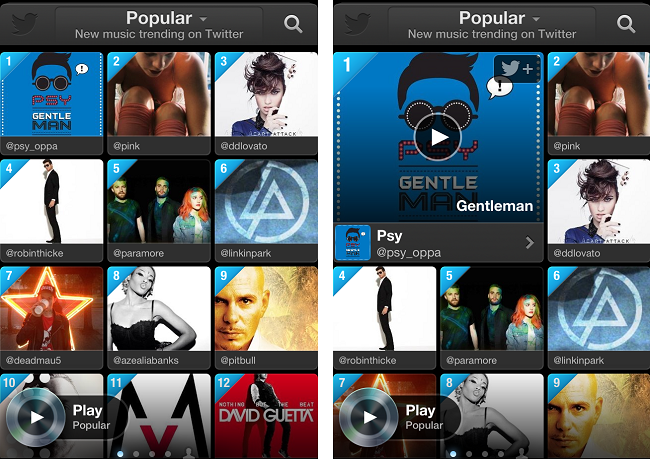 First and foremost, Twitter #Music is a music discovery tool. It works as a music player – technically – but we’d probably stick with our dedicated music streaming apps before we resorted to using Twitter Music to listen to music. If you want the best experience, you’ll either need to be subscribed to Spotify or Rdio. You don’t need to be signed into Twitter to use the app, but doing provides personalized recommendations. 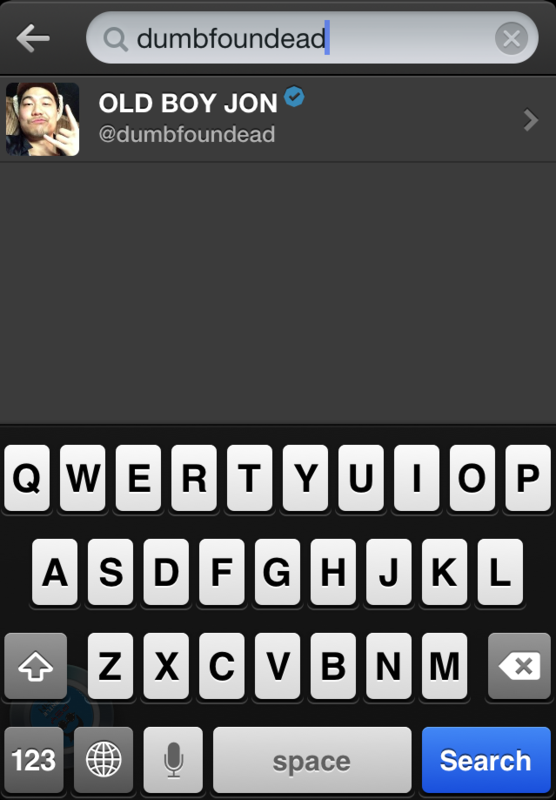 So if you don’t already have one, you’ll need a Twitter account for that feature, as well. 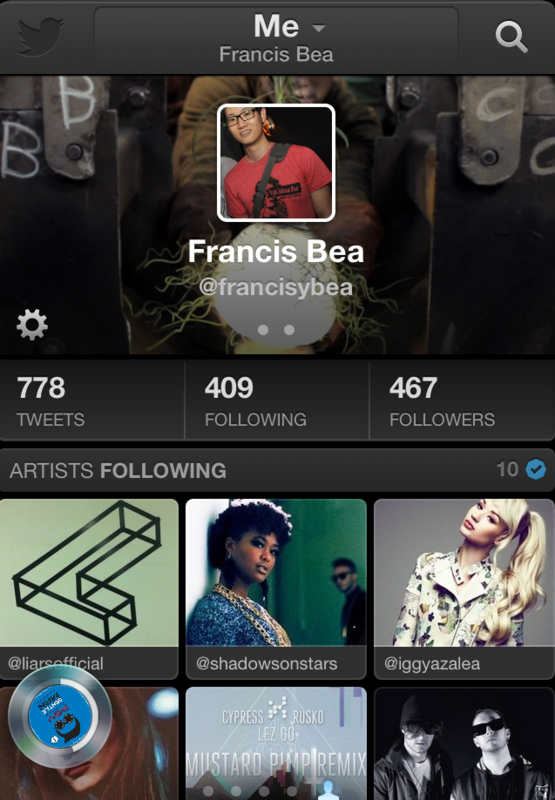 Twitter #Music’s design is eye candy. Tiles of artists and their promotional photos are stacked on top of each other three-by-three against a dark background that draws your attention to the album art (or promo photos), and, of course, the music. The nature of the design is intuitive – just tap a tile, and the music will start playing. As for that ever present play button on the bottom left-hand corner that seems to follow you everywhere, it’s your music player. While it looks simple (it only supports the act of pausing or playing your track), if you’re playing music and tap on the circle with the album art, more functionality is uncovered. Every user – not only musicians – has a Twitter Must profile page, which is made up of your basic info including the number of tweets, followers, and following. And where the tweets would typically show up, you’ll find is a list of artists that you’re following on Twitter. Twitter #Music is separated into four different pages. The first page shows the top 140 “Popular” tracks. Since the app pulls from Twitter’s data on what’s trending, “Popular” shows you what’s new and trending on Twitter. If you tap on “Popular,” you’ll find a slide-down menu of other sections. You can choose to browse through “Emerging” artists, “Suggested” artists, and a section called #NowPlaying. The Emerging and Suggested pages, as you’ve probably guessed, shows you the artists that are beginning to trend, and artists that Twitter thinks you’d like based on the musicians that you’re following, respectively. #NowPlaying simply lists the tracks that people you follow have tweeted. If you’re looking for a specific artist, you can always opt to search for them by tapping on the magnifying glass icon on the top-right corner. Or you can check out what artists your friends or other musicians are following. As mentioned, Twitter #Music isn’t much of a music player. Yes, you can play music – sort of. But there are three main reasons #Music is really only good for music discovery. First, if you’re not signed into a Spotify or Rdio account, you can only play a 10-second iTunes preview of any song. That right there is enough to eliminate the app’s usefulness as a streaming service. But still, the list goes on. Second, track selection is completely out of your control – you can only stream whichever song happens to be pre-selected by Twitter. 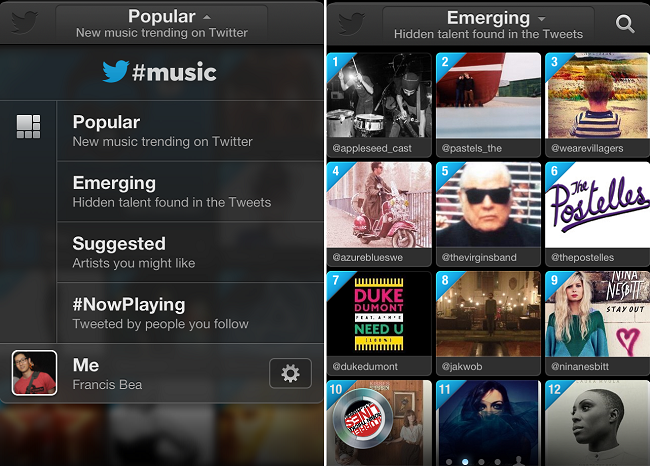 What you’re using Twitter #Music for is to discover artists, not necessarily new music. The reason we say this for the simple fact that when you listen to an artist’s track you aren’t offered the option to listen to addition songs by the same artist. Bummer, we know. Third, once one track finishes, #Music cycles you to the next track in the category, which may or may not be a song you’re interested in listening to. Note that what you listen to depends on what section in the app you’re in, so if you’re not in a mood for the unfamiliar, we recommend that you either navigate to your own profile page or tap to the Suggested page. A social artist discovery app isn’t complete without the social features. Say you’ve found a track you’re interested in; you’ll find that sharing the artist with your followers, or following these artists, is a cinch. Twitter makes sure of that. When you tap on an artist’s tile, a faded follow icon sits in the corner, which allows you to immediately follow that artist. To share artists and tracks, navigate to the music player, and you’ll see the Twitter share button in the top right corner. Touch it, and bam! Music shared. Since Twitter Music is powered by Twitter, what artists you tweet about now affects what you and your friends discover and listen to. This might dissuade you from ragging on a certain artist, as your tweets might end up being suggested to you on Twitter #Music. Furthermore, we won’t use the app as our de facto music player – it’s simply not built for that purpose. However, if you’re bored and looking for a change of tunes, Twitter #Music has you covered. Twitter #Music is currently available in the U.S., Canada, the U.K., Ireland, Australia, and New Zealand.